Before I became a Realtor, I was a buyer. During my attempt to make a local purchase, I lost my deposit. I felt my real estate agent at the time could have done more to inform me of the possibilities, as well as fight for my deposit. Through that experience, I have become a Realtor myself. I believe in matching dreams with reality and doing whatever it takes legally to achieve that. I will be your committed Realtor. I am dedicated to your real estate goals as though they are my very own! Slogan Dedicated to your real estate goals as though they're my very own! I confirm that I worked with Jason Bryan in the buying or selling of this property. - I recommend highly Jason Bryan. He made our first time home buying process a joy. Jason was responaive and involved, answering our many questions and goving us the benefit of his expertise. He knew the market well. I/we am/are very happy with our purchase, which was made possible only with Jason’s assistance. - It is my pleasure to recommend Jason to anyone buying or selling a home. Jason is personable and honest. He did not waste time showing us investment properties he even found a tenant for us! He was easy to work with and very knowledgeable about the area. Jason is attentive and always made himself available for any questions or concerns. In my opinion he's the best in the business!!! - Jason was extremely helpful in assisting us in navigating our way through the process of purchasing our property in Wellington, Florida. Being located in Virginia presented challenges, but having Jason as our representative proved to be critical to our success in locating the property, negotiating a price, and closing the deal. n nHis knowledge of the market in the Wellington area was a crucial part of our selection process. His responsiveness was superb, and his communication was constant during the negotiation effort. His advice during the negotiating phase was very helpful, resulting in substantial savings. n nIt was a pleasure to deal with a realtor with the skills and professionalism that Jason exhibited. I highly recommend him for any realty transaction that you may have. - I was the Sr. Mortgage Banker associated with helping Jason help our client get into this home. We have worked together to help a few clients to get into a home. 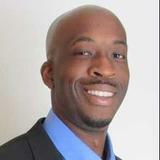 he is extremely hard working and goes above and beyond for his clients. He communicates well and I truly enjoyed working with him. If you are every looking for a great realtor that will find you exactly what you are looking for reach out to Jason it will be worth it. - Our overall experience with Jason was great. He went above and beyond to meet our needs. The house sold way sooner than expected which We give Jason Bryan the credit. - Jason did a great job in helping sell my home. Jason understood the value of my time and needs in expediting this sale. His communication throughout, Use of social media to advertise the property and knowledge of my area was right on point. I had specific requirements and a family situation was taking place during this process and Jason was right there, professionally and personally to make the entire sales process smooth, and helped put my mind at ease. I would absolutely recommend Jason to family and friends for future realty needs. - Jason did a great. His attention to detail was excellent. He made the whole process easy and walked me right through. He was very professional in everything he did.